GALION — The 2018 Pickle Run Festival was the best one yet. 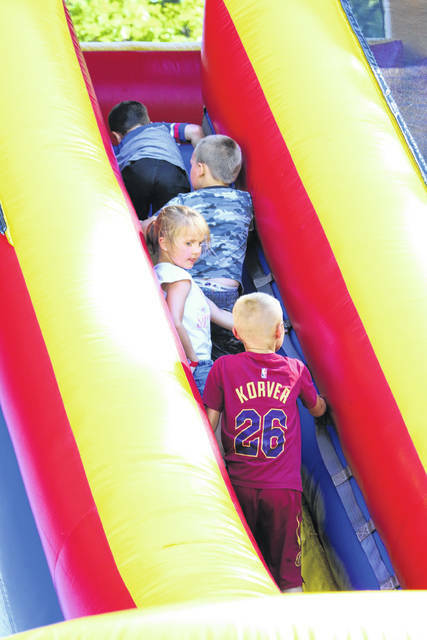 It ended its two-day Saturday in Heise Park and from all appearances, it went off without a hitch. “The fourth year of the Pickle Run was the best attended to date,” said festival coordinator Sarah Capretta. “The support from the community is what makes this event so successful. If it was not for the volunteers donating their time and resources, we would never be able to pull this off. The schedule of events this year was a change of pace from year’s past. All activities were held started Friday evening and concluded Saturday. The festival concluded once again with the city’s fireworks display, which drew thousands to the community thanks to perfect weather. The annual YMCA 5K and Fun Run was a change of pace this year being held on Friday night for the first time. The event attracted a large of group of entrants of all ages who came dressed in neon and glow in the dark apparel to support the theme of a “Glo Run”. A large variety of activities, music, games, and food provided plenty of options to keep the whole family busy. New events this year included a 3 on 3 soccer tournament held at Heise Park Stadium. A popular favorite from a few years ago returned to the Pickle Run by way of a vintage baseball game between the Ohio Village Muffins and a team of local players. 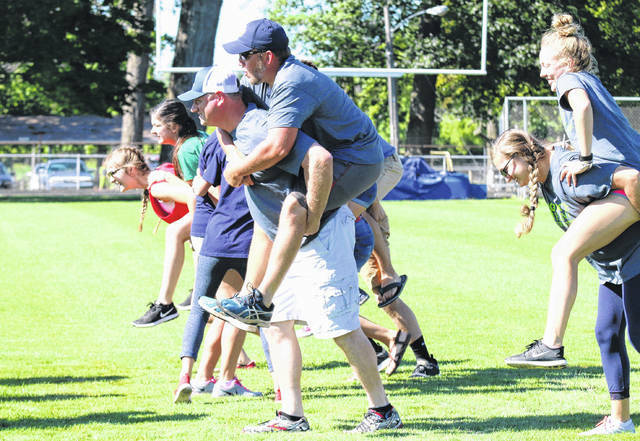 The game was Saturday afternoon at the Galion High School baseball field and was coordinated by the Galion Historical Society. Another new addition to the schedule was a food-eating contest which drew a sizable crowd of watchers and participants. 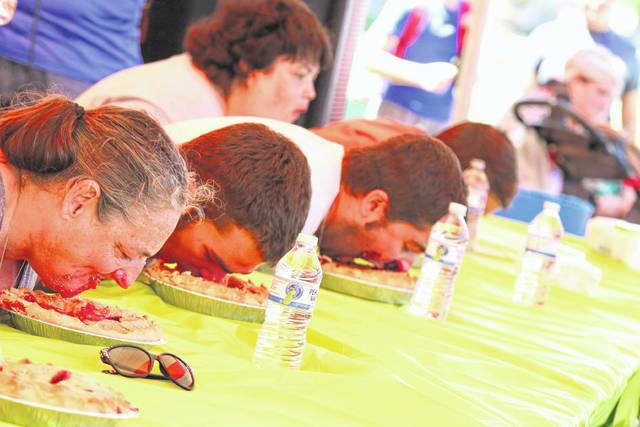 Hot dogs, pie, and pickles were devoured by entrants seeking to claim the first ever title of Pickle Run Eating Champion. A cake walk and bake sale by a Galion Girl Scout Troop, face-painting by Galion Youth Cheerleading, inflatable fun for kids sponsored by Galion Kiwanis and United Way, as well as many local vendors and crafters were set up on the lawn all day. New additions to the food truck area provided many new options to choose from for a meal or a sweet treat, and musical entertainment from local favorites Common Thread and the Crazy Gringos rounded out the days entertainment prior to the fireworks display at dusk.